Home KTM Meet the Turbo charged KTM RC390 by Performance Technologies, expected output 60hp! Meet the Turbo charged KTM RC390 by Performance Technologies, expected output 60hp! A couple of months ago Italian Motorcycle tuner, Nicola Bragagnolo (founder of Performance Technology), transformed the 321 cc Yamaha YZF-R3 into a turbocharged 60hp beast and named it Yamaha R3 Turbo. The turbocharged R3 had enough muscle and power to compete with Moto3 race bikes. 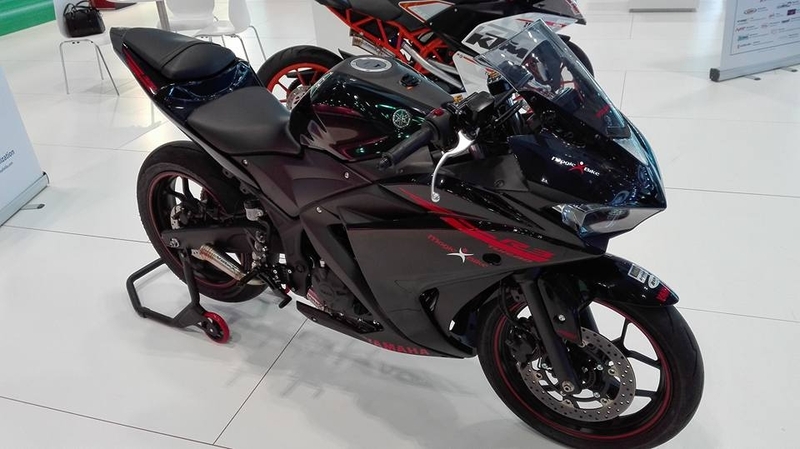 Using world’s smallest turbocharger, IHI RHB31, Nicola managed to pump up the output of the Yamaha R3 Turbo to 60 PS at 10,000 rpm from the 42 PS at 10,750 rpm of the stock. 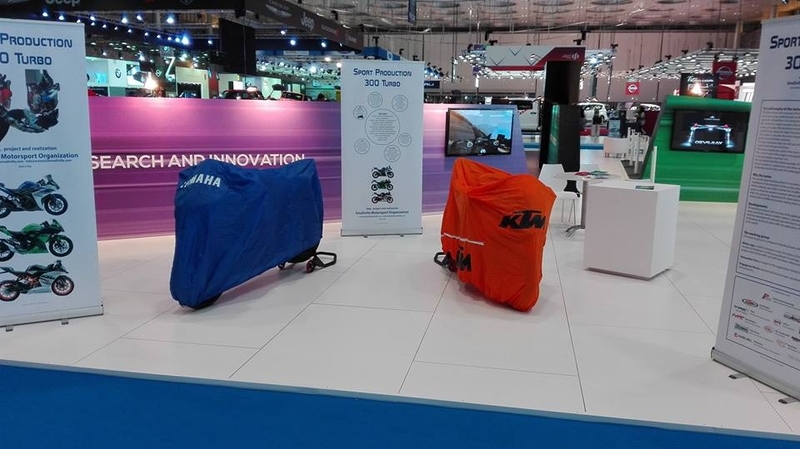 The Yamaha R3 Turbo was showcased at the MotorBike Expo in Verona and the ongoing Qatar Motor Show. The bike garnered a lot of attention, but it wasn’t the only one to do so. Besides the glossy black R3 stood a crowd puller in Black and Orange – The KTM RC390 Turbo! Nicola has done it again! With an aim to increase efficiency and extract more power without compromising the reliability, a turbocharger has been plonked on the KTM RC390. 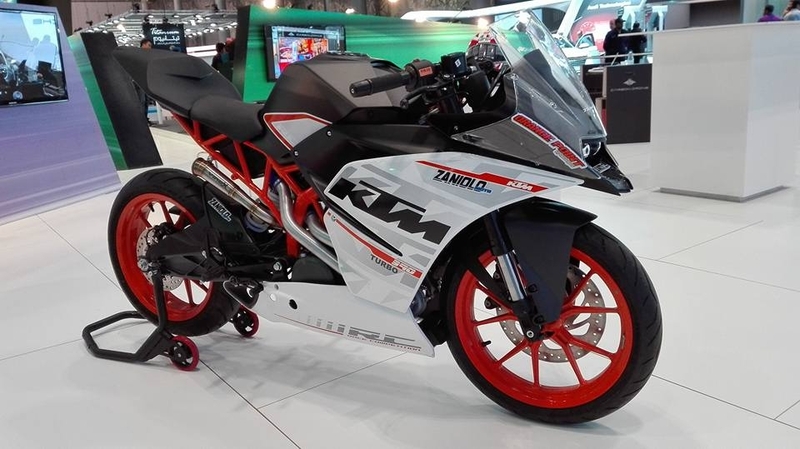 The maker claims that the application has worked well on the KTM as it did on the R3. Nicola aims to create a new class of low-cost high-performance bike for motorsport competitions held worldwide. 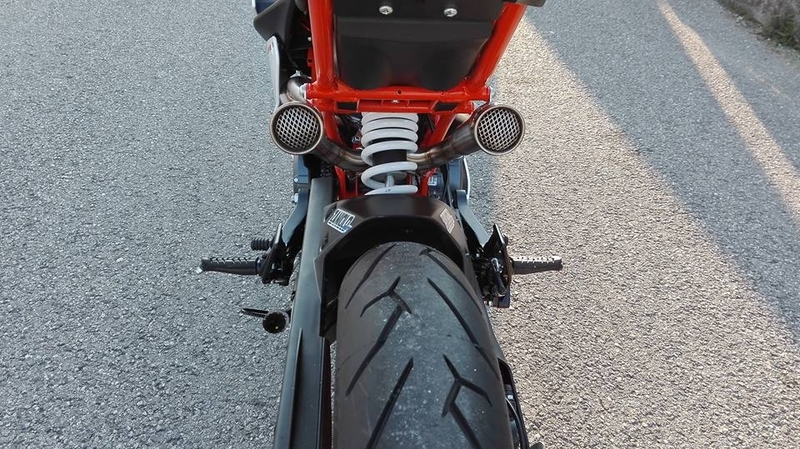 These turbocharged bikes are not just for the tracks but they are also street legal. For now, details of the ‘Turbo’ treatment is not known yet, but soon we shall share the numbers as the bike maker plans to officially launch the R3 Turbo and the RC390 Turbo. The stock KTM RC390 is powered by a 375cc single-cylinder liquid-cooled engine that generates 43.5PS of power and 35 Nm of torque. The output on the turbocharged RC390 can be expected to be around 60PS as on the Yamaha R3 Turbo. Performance Technology has also been working on a turbo edition of the Kawasaki Ninja 300. The Ninja Turbo is expected to be unveiled and launched by March 2016. Till then stay tuned. Here is the gallery of the Turbocharged Yamaha R3 and KTM RC390!